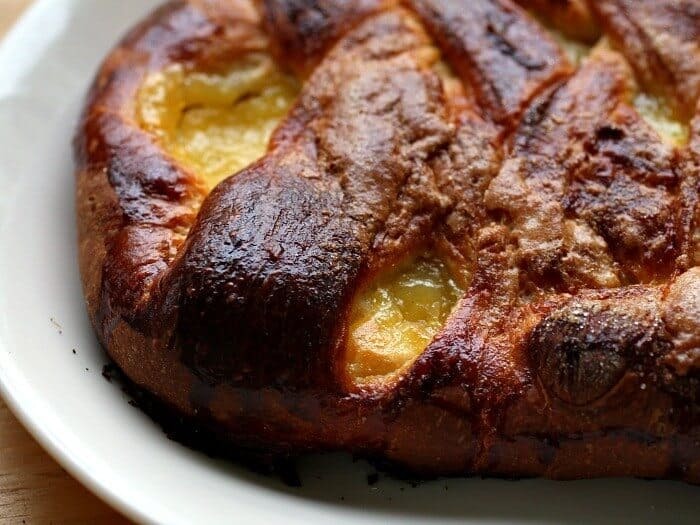 Lemon Bread Breakfast Braid is a great addition to any brunch or special breakfast. It is very similar to a Danish but without all of the fuss. You don’t have to turn and chill the dough so this comes together much more quickly than a Danish would. 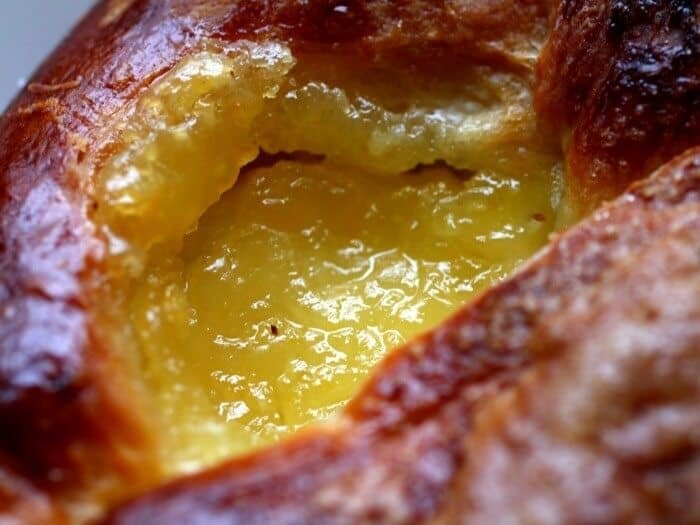 A lightly sweetened dough is spread with a cream cheese mixture and a layer of lemon curd. You can either use commercial or homemade lemon curd for this recipe. Do try the homemade at least once. It is super easy because you make it in a microwave! I really can’t chat long tonight. I am so excited — my husband and I are leaving for a short getaway to see my son and daughter-in-law for my birthday. I have several articles to write for clients and packing to do. 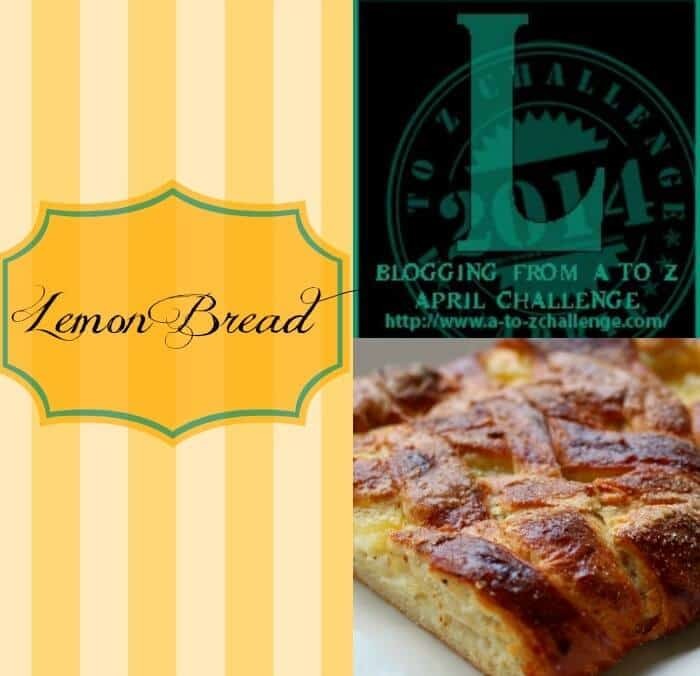 Forgive me for being succinct in the post but do not let it deter you from making this Lemon Bread. It’s absolutely mouthwatering. The braiding is really quite simple. You’ll just pull one of the tabs all the way over the center and press it gently into the dough. You then take a tab from the other side and do the same. Keep criss-crossing the dough until you get to the end and that’s all there is to it. If you do happen to make your own lemon curd be sure to make it the night before and use it chilled. I just think it works so much better that way. 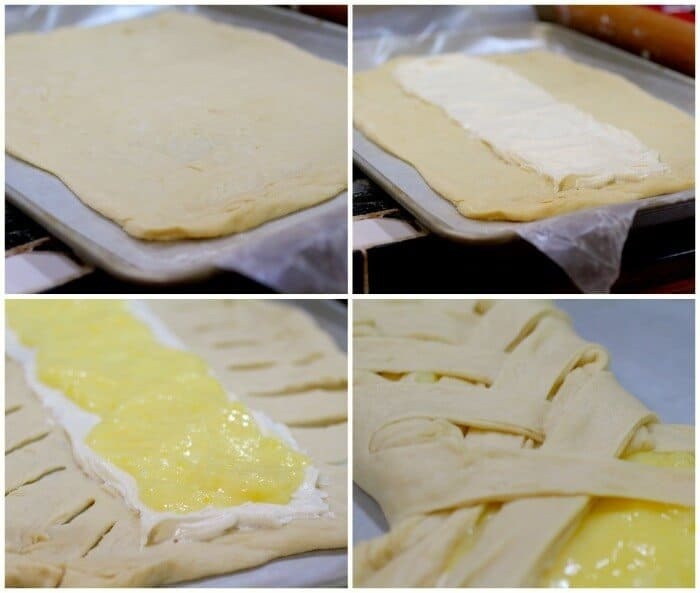 If you’re pressed for time you can let the lemon bread rise, tightly covered, overnight in the refrigerator. Just pull it out and bake it the next morning. The dough is lightly sweet but mostly rich and buttery. The lemon curd adds a nice tang. If you make your lemon curd try using Meyer Lemons the flavor is unforgettable. This would be perfect for an Easter or Mother’s Day brunch. 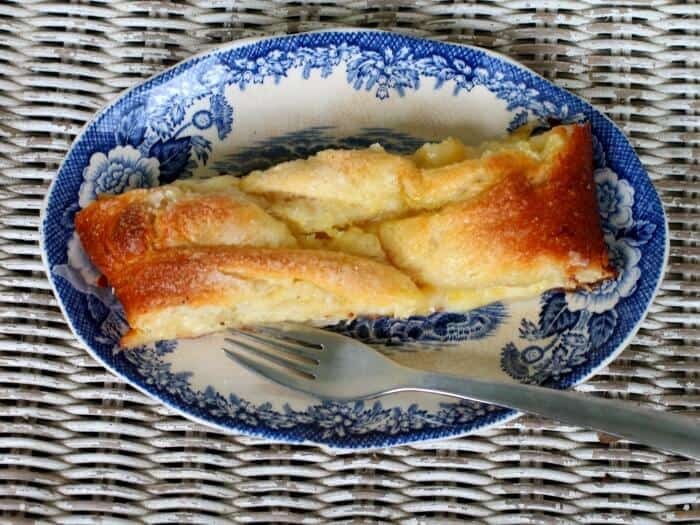 Lemon bread breakfast braid is a rich, tangy coffee cake similar to Danish but without all of the turns and chilling time. Use prepared lemon curd or make your own. 1/4 cup unbleached, , all-purpose flour. Combine the ingredients for the sponge in a bowl. Whisk together and cover with plastic wrap. In the bowl of your mixer combine the sponge, yogurt, butter, eggs, sugar, salt, and vanilla. Knead with your mixer on speed 2 about 5 minutes or so. Add more flour as needed to make a smooth dough. Place the dough in an oiled bowl, oil the top, cover with a tea towel and let rise until double – about 1 to 1 ½ hours. Divide it into two equal parts. Roll out the first part into a 10 x 15 inch rectangle. Combine all the filling ingredients except the lemon curd in a bowl. Place the rectangle on parchment. Lightly press the back of a butter knife into the dough marking it vertically into three equal parts. Spread the middle section with half the cream cheese and then top with half the lemon curd. Cut 1 inch crosswise strips down each of the outside sections. Make sure you have an equal number of strips on each side. Lift on of the dough strips and gently bring it across the filling diagonally. Repeat on the other side do that the strips cross each other. Continue down the braid alternating strips. Cover with a tea towel and let rise for 45 minutes to an hour – until puffy and doubled. Beat the egg yolk with the cream. Brush the egg mixture lightly over the loaves. Happy Birthday and have a wonderful time with your family. The bread looks delicious and not too difficult to make. Thank you so much! Yes it is delicious and quite easy! I had the honor of tasting this fresh from the oven and then brought a loaf to the office. It was a huge hit. Marye’s lemon curd is phenomenal and this dish is a WINNER! Aww, thanks Edye. It really is delicious… and I’m glad everyone at the office liked it.